The Chinese range is generally known to contain mobile phones with a high quality/price ratio, that is, usually mobile with medium or high specification but at a very low price compared to the top of other companies’ ranges. This idea, however, may change in the future, or at least, this is what Doogee wants. How do you want to get it? Introducing the first smartphone (Android) history with two double cameras. In fact, Doogee, the Chinese smartphone manufacturing company is on the way the first mobile with 4 cameras, i.e, 2 cameras on the back of the device and two more on the front, making a total of 4 cameras on a smartphone. Specifically, this is the Doogee X30, the terminal that will integrate for the first time a double front camera (apart from having another in the back), opening up a world of possibilities in the world of photography in Android. As we read, dual front camera that will enable all the features of a double standard rear camera, i.e, can play with the combination of RGB sensor + the monochrome sensor, can cause the feeling of deeper way in selfies, etc. 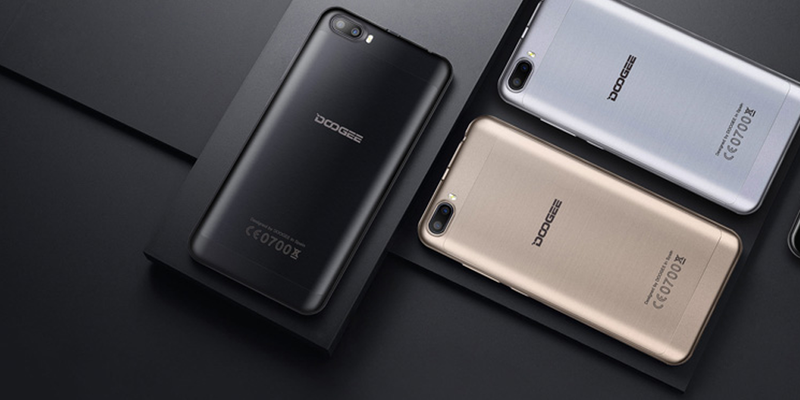 For now, we do not know more details about this innovative Doogee, such as its price or the other hardware that will integrate to accompany these 4 super-cameras. Anyway, we will soon know about him. Meanwhile, Doogee proposes to take a look at its other dual camera terminals, such as the Doogee Shoot 1 or the Doogee Shoot 2, two smartphones that will bring you this technology without having to spend a bundle.